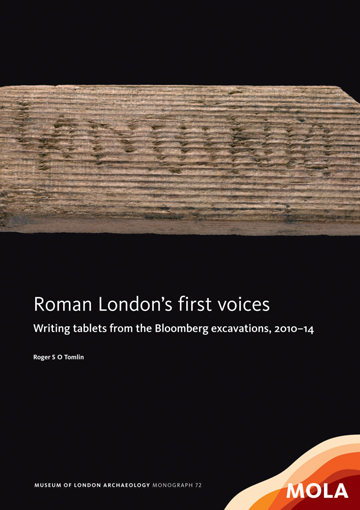 Excavations in preparation for Bloomberg’s new European Headquarters from 2010-2014 were an unprecedented opportunity to explore three hectares of waterlogged ground where the now-lost Walbrook River once flowed through the heart of Roman London. 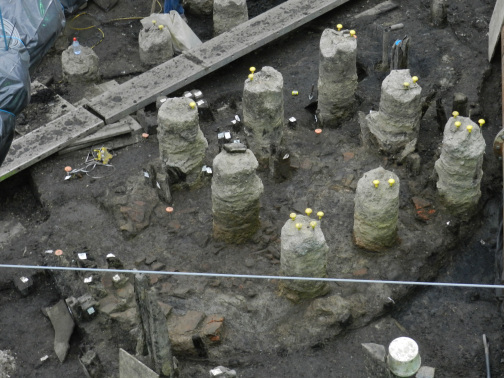 We recovered over 14,000 objects from the site, many startlingly well preserved. Some discoveries were immediately visible to the naked eye – like writing tablets and leather sandals - but others only crawled out of the woodwork later, once environmental samples were placed under the microscope. One such discovery is thought to be the earliest evidence of cockroaches known in the British Isles. A number of cockroach egg cases known as oothecae were recovered from the tile wall of a circular structure and extracted from samples by one of our Senior Environmental Archaeologists. 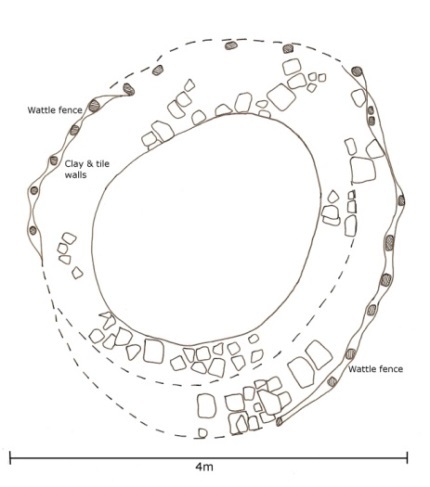 Dating to AD 65 – 80, the structure has been interpreted as a communal bread oven, and research is revealing why cockroaches decided to make it their home nearly 2000 years ago. 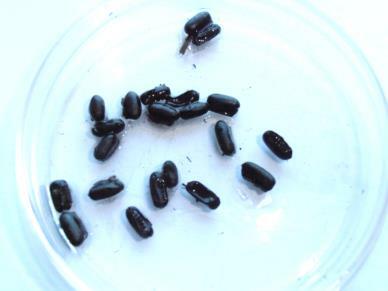 Britain does have native cockroaches, however the oothecae from Bloomberg appear to belong to a larger, imported species called Blatta orentalis (the ‘oriental cockroach’). The species favours temperatures between 20oC – 29oC and cannot breed below 15oC, meaning that in relatively chilly Northern Europe, it only thrives in constantly heated spaces. The walls of a bread oven would have provided a perfect refuge, as well as a ready supply of food. 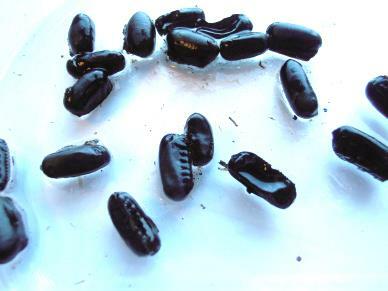 These oothecae suggest that the Romans were importing food supplies from their Empire in the years following the conquest of AD43, and that long-distance trade networks existed from the earliest days of the occupation. The oriental cockroach probably made its journey to Britain in grain supplies from somewhere warm, in the Mediterranean or even further afield in North Africa. Grain pests, including the saw-toothed grain beetles and grain weevil, made similar voyages. We only know of one other example of cockroaches being found from the Roman period in Britain’s archaeological record, found at Waterside North West in Lincoln and of a later date than the Bloomberg remains (around the 3rd-4th century AD). All other examples of cockroaches identified archaeologically are of late Medieval or early modern date. In studying the environmental samples we are not only able to tell what kinds and quantities of food people in the past consumed, but also where they came from and what hitchhikers came along for the ride. 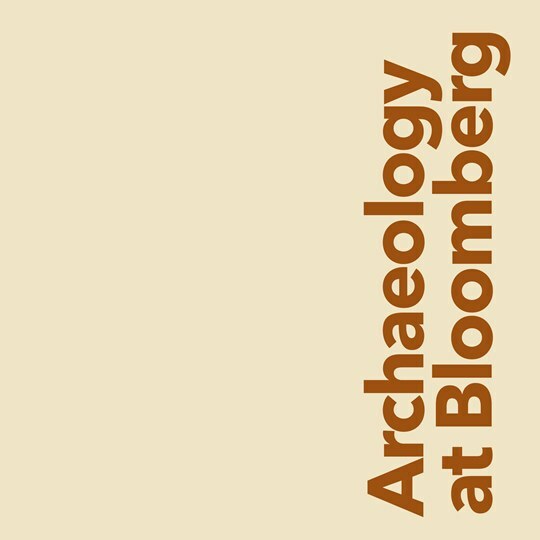 Find out more about the archaeology of Bloomberg by downloading the free Archaeology at Bloomberg book, or visiting London Mithraeum Bloomberg SPACE where over 600 of the artefacts found are on display. Book your visit at www.londonmithraeum.com.